We recently reviewed the Tanks World War II Skirmish Game on episode 172 of the podcast and website. I think it’s fair to say that it got something of a mixed review. At the time we suggested that you might want to try Iron Cross as an alternative (You can find a review of Iron Cross here). 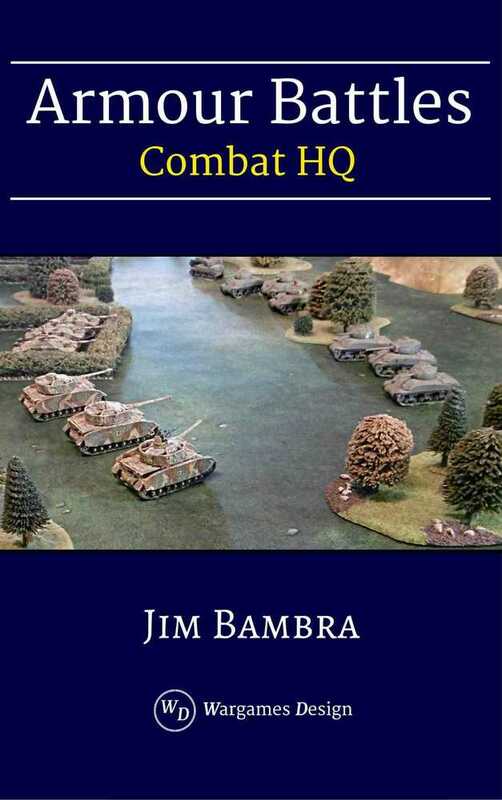 Another possibility for playing tank battles in 15mm or 20mm is Combat HQ: Armoured Battles, which is written by Jim Bambra and published by Wargames Design. Armoured Battles is a cut-down version of the full Combat HQ World War II rules. It’s available for free is you subscribe to the Wargames Design newsletter. Armoured Battles gives the basic rules for the game, and provides 3 different scenarios. The stats provided in the game detail US and German vehicles, as the scenarios are based around the battles in Lorraine in 1944. US vehicles include M5 Stuart, M4 Sherman 75 & M4 Sherman 76 and M10 Wolverine. German vehicles include the Tiger, Panther, Panzer IV, Stug III and Puma armoured car. As well as this set of rules (73 pages, PDF format) Wargames Design also provide you with the Armoured Battles Expansion (97 pages, PDF Format). This book adds new rules and greatly expands the forces you can use in the game. The expansion also includes a mission generator, so you can play your own battles. Forces now include Early War Commonwealth, French and German vehicles, suitable for fighting the Battle of France and the early Desert War. The Late War forces are expanded to include Commonwealth and Soviet tanks. The idea is that Battle Groups now engage with other. Battlegroups consist of a Recon Section, several Tank Companies plus some off table artillery support. Support groups can be added to the Battlegroup to give a bigger game and provide some extra variety of armour. It looks to be an interesting system – the fact that it’s available for free is an added bonus.